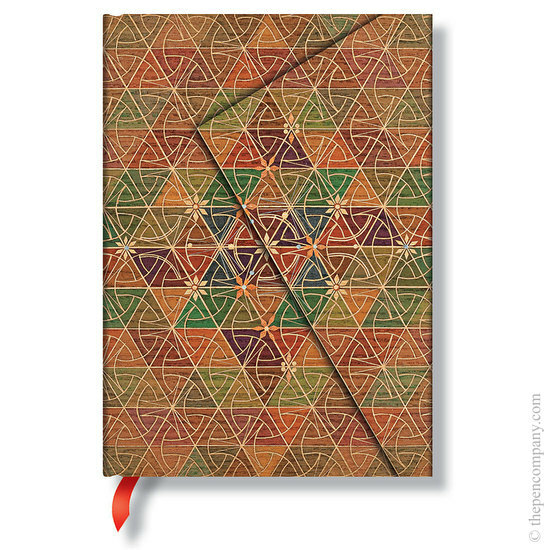 These intricate geometrically patterned journal cover designs are inspired by the work of Kirikane revivalist Sayoko Eri (1945-2007). Literally translating as "cut gold", Kirikane is the Buddhist meditative practice of decorating paintings and statues with gold leaf. The precision and intricacy of the process is informed by devotion and mindfulness.